Mrs Frema Osei Opare (2 L), Chief of Staff, joined by management to unveil the new name. Equity Assurance has now rebranded to Sunu Assurance, after the Sunu Group acquired majority stakes in the insurance company. The rebranding comes at the back of a strategic partnership with the Sunu Group which started in 2015. Despite the Sunu Group now holding majority stakes, the company still boasts of Ghanaian participation in terms of the shareholding structure. The Board Chairman of the company, Mr Paa Kwesi Yankey, at a short ceremony in Accra to commemorate the rebranding, said the company was poised to leverage on Suna Group’s extensive network to continue to grow its business in Ghana and other francophone countries. He noted that despite the rebranding, its management team remained unchanged because the board had confidence in their competencies and abilities to drive the company’s vision. Through the partnership, he said the company planned to introduce more initiatives to increase its market share in the country. “Upon our entry into the insurance industry over a decade ago, we set the pace with our aggressive marketing and initiatives that quickly endeared us to fast growing clients,” he stated. “It is sheer determination that makes us a force to reckon with,” he added. With Ghana now a member of the Francophone Organisation, Mr Yankey said the introduction of the Suna Group in Ghana was timely. 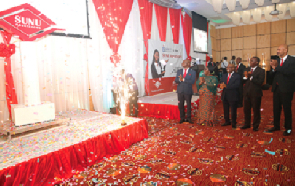 In a bid to bring insurance closer to its customers, the company marked the occasion with the launch of its digital platform which would afford customers the opportunity to transact business with the company from the comfort of their homes. 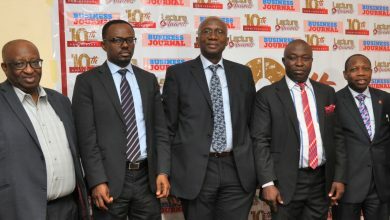 Mr Kwesi Yankey said the initiative to form a partnership with the Sunu Group was not necessitated by the anticipated capital increase by the regulator. He said the company was ready and confident that it would meet whatever the new minimum capital would be. Touching on the insurance industry, Mr Yankey said it was a major player in the financial sector of this country as it had over the years assisted in the sustainable growth of the country’s economy through the absorption and the reduction of risk and cost of investment. In so doing, he said it had given enterprises the assurance to transact businesses which they wouldn’t have. 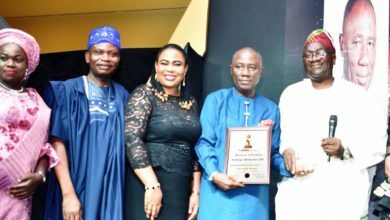 In addition, he said the industry had also contributed to a pool of investment funds from premiums from insurance companies for investments. He said contrary to the general perception that insurance companies always found reasons not to pay claims, the company promptly paid genuine claims. 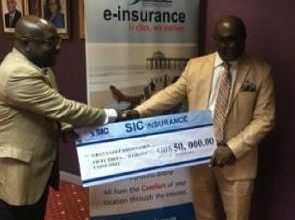 According to him, this year alone, they had paid a total gross claim of about GH¢9.6 million. “In our company, insurance contract really works. We deliver 100 per cent on our services most of the time. This is why our clients are very happy with us and they keep coming back to do more business transactions with us. This is one of the secrets behind our tremendous growth in the last 10 years,” he said. 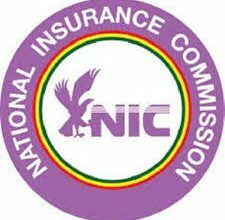 The Commissioner of Insurance, Justice Yaw Ofori, in a speech that was read on his behalf by his deputy, Mr Michael Andoh Kofi, said the National Insurance Commission (NIC) would soon introduce an electronic motor insurance database that would deal with the rise in fake motor insurance stickers across the country. 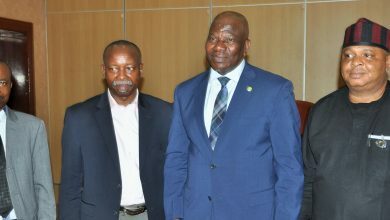 He said the electronic database, which is expected to be implemented in 2019 formed part of measures to boost the dwindling confidence in the insurance industry. Mr Andoh said the platform, when fully implemented, would help the security and other relevant agencies to check the authenticity of motor insurance stickers.